We are in the midst of a revolution. It is a scientific revolution built upon the tools of molecular biology, with which we probe and prod the living world in ways unimaginable a few decades ago. Need to track a bacterium at the root of a hospital outbreak? No problem: the offending germ's complete genetic profile can be obtained in 24 hours. We insert human DNA into E. coli bacteria to produce our insulin. It is natural to look at biotechnology in the 21st century with a mix of wonder and fear. But biotechnology is not as 'unnatural' as one might think. All living organisms use the same molecular processes to replicate their genetic material and the same basic code to 'read' their genes. The similarities can be seen in their DNA. Here, John Archibald shows how evolution has been 'plugging-and-playing' with the subcellular components of life from the very beginning and continues to do so today. For evidence, we need look no further than the inner workings of our own cells. Molecular biology has allowed us to gaze back more than three billion years, revealing the microbial mergers and acquisitions that underpin the development of complex life. 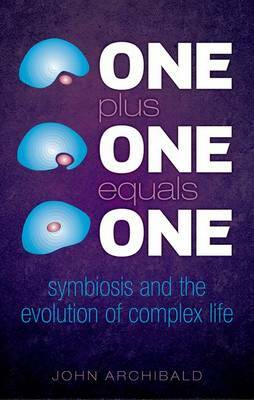 One Plus One Equals One tells the story of how we have come to this realization and its implications. If Darwin and fossilised bones sum up your knowledge of evolution then read this book. If you know Creationists or are Creationist curious read this book, it might illuminate.